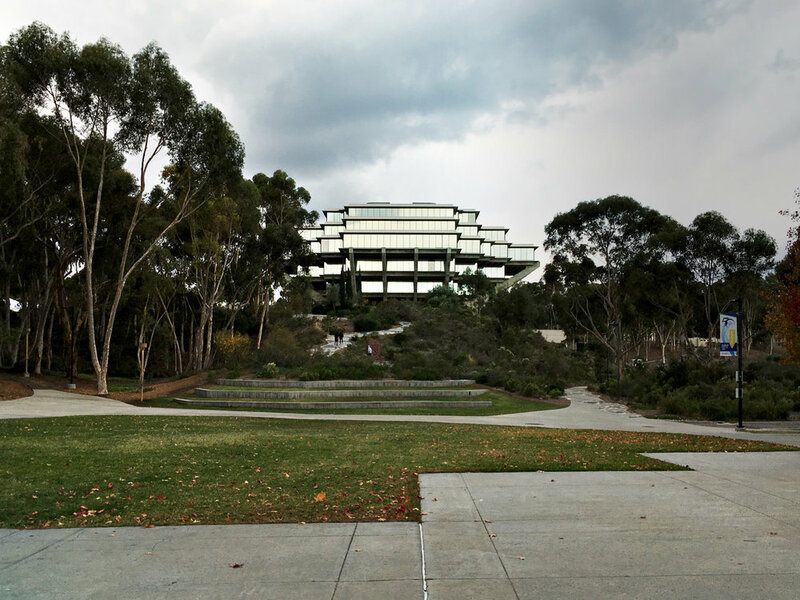 geisel library is the heart of university of california, san diego, both physically and mentally. its brutalist and futuristic form designed by the architect william pereira—just like in union 76—was even placed to the university’s symbol. despite the scary and robust statement of the concrete structure, its giant glass coated in aluminum reflects the pink, blue, yellow and lilac colors of the famous californian sunset. geisel library must be one of the most impressive and beautiful buildings in the world, even though it was named in “top 10 ugly buildings to visit” list of reuters in 2012.